A handful of establishments in New York City, London and Sidney have recently included cocktails with lower alcohol content than standard cocktails to their menu. Last night the legendary American bar at SAVOY Hotel in London celebrate the arrival of the Bartenders Travelling book in UK from Spain where Javier De las Muelas personally selected one and only legendary bartender Salim Khoury as successor. In the last few days we have been facing in Japan what is probably one of the worst nature catastrophes in last century. What to drink on Saint Patrick’s Day? And why? 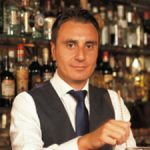 Bar industry is moving so quickly these days and its almost impossible predict what will be the next “big thing”, but I want to share some thoughts from my personal experience, are you the next one?